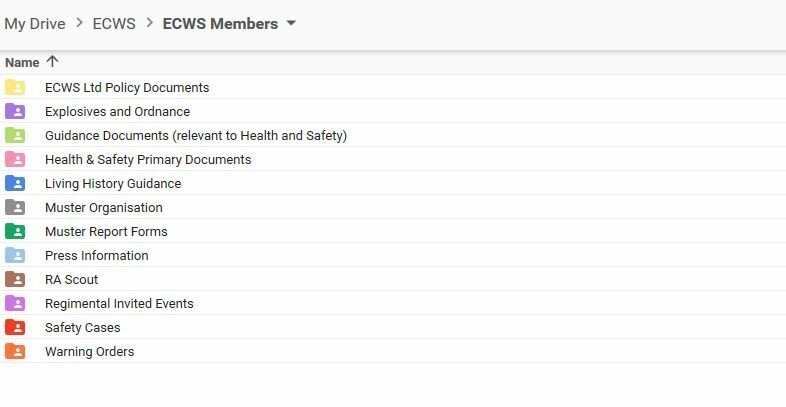 In the previous version of the ECWS website there was a facility for members to access ECWS documents via a discussion forum using PHP forum software. During its lifetime of about 6 months it acquired around 35 members of which only 4 posted ( this includes the 2 admins who populated document download area of the site). The software was overly complicated and difficult to administer. To gain access to this area please ask your commanding officer, membership secretary or regimental Adj to email the website administrator at webadmin@ecws.org.uk requesting access. The document depository is in its early stages of development and level of access may be increased to allow Co’s, their regimental adjutants or nominated persons to upload documents, in particular Warning Orders to the Warning Order folder.